Mehwish Hayat is a famous Pakistani model, drama and film actress, height is 5 feet and 7 inches and also a singer. The Pakistani fashion industry has the full potential of talented, hardworking and new faces. Mehwish Hayat is an example of Pakistani fashion industry potential and plays many dramas and got success. Every platform, actress has done a fabulous job like modeling, drama industry, film industry, and singing. She proved that she is a great talent for our industry. Mehwish Hayat was born into a liberal family on 06-01 1983 in Karachi. Her mother was a popular TV actress in the late 1980s. She has three siblings like Zeeshan Hayat, Danish Hayat, and Afsheen Hayat and did her early education from Karachi. She did her higher education from Karachi University. She is not married yet, her marital status is single. Her family is very supportive and liberal and gave the confidence to do anything that she wanted. As we above mentioned that her mother was an actress in 80s and has 3 siblings. Elder brother Zeeshan is a singer and composer. Elder brother Danish is model and actor. Sister Afsheen is a singer as well and her siblings are not famous as Mehwish Hayat. Mehwish Hayat has beautiful eyes and fair complexion; started her career from modeling and then entered in a drama and film industry. 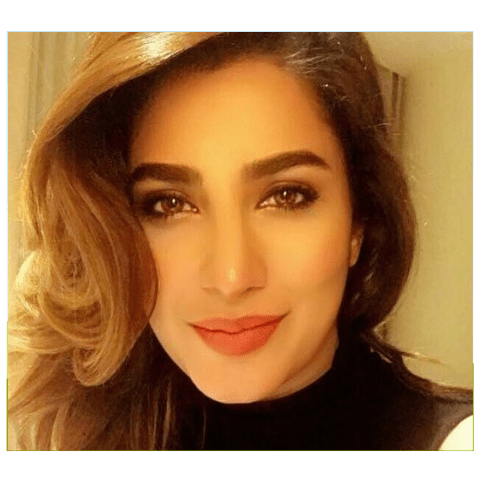 Hayat’s got fame in a very short time and also remains a top model of Gul Ahmed brand and has done many commercials of clothing and cosmetics for huge brands. She has done many leading roles in dramas like Dil Lagi, Mery Qatil Mery Dildar and Phir Chand Pe Dastak etc. Therefore also did many successful movies like Punjab Nahi Jaungi, Jawani Phir Nahi Ani and Actor in Law etc. In 2009, she won the 8th position of sexiest Asian women in the world. According to Eastern Eye Magzine, Mehwish Hayat is a Pakistani Princess and also said “if there was a contest to find the most beautiful women in Pakistan, turned would be a front-runner. She is also a winner of ARY reality show “Adventures” has been appointed the face of Lux calendar and WWF ambassador for earth day in 2014. Now she is promoting the movie “The Load Wedding” and said in the show of HSY about the culture of Pakistani weddings and show the escape from daily struggle. She said, did not respond on the biggest offers in her career when she approached for the second lead role in Dedh Ishqiya opposite Madhuri Dixit and Naseeruddin Shah. The feeling was uncomfortable about intimate scenes which were the requirement for the role in the movie and also so choosy for selecting the role in the movie. According to Mehwish, She is the ambassador of Pakistan and working with honesty and dedication. She did not become the part of the showpiece and the desired object. Punjab Nahi Jaungi was a very successful movie and people are enjoying it. But most of the people shocked in Lux style award when the movie ignored in the category of best actress. She was perfect in her role. Mahira is a superstar but her movie Verna was an average movie and he got the best actress award. But the other’s opinion is that the best actress award is entirely based on audience votes and they choose her. Mahira Khan refused to comment on controversy and she knows about hard working for the role in Verna. She confirmed about to play a role of Benazir Bhutto in Biopic. She wants to reflect on her achievements struggle. Mehwish said, I have never really been a political person but on the other side nobody is denying her great strides and working for women empowerment and equality in the country. There was a time when “Mohterma” made believe for women that anything was possible. She was a truly extraordinary woman and also giving life to her story soon. She is also a part of Youth Campaign and projects the right image of Pakistani people, also the prominent part of “Yeh Hum Nahi” program that runs against terrorism in our country. Mehwish speaks bravely in press conferences and parties against terrorism and also appears in advertisements to sponsor the project. She also announced a number of challenging role in TV dramas and films. Director, who has been completed his romantic comedy movie “Karachi Se Lahore in 2015 and its sequel Lahore Se Aagay in 2016. Recently, announced the third part Karachi Se Lahore 3 which is scheduled to release on Eid ul Fitr next year. It’s another upcoming project is Web Series with Mehwish Hayat under the banner of Gateway Entertainment. Mehwish Hayat said publically that she wants to open a dance school in Pakistan. She is the first actress to speak out openly this kind of wish. Mehwish is not replying the Bollywood producers because doesn’t want to do side role in the industry. Also interested to do a movie based on women’s issues and never to do that kind of movies to could hard country reputation. She supports the PSL team Lahore Qalandars and wishes to win the PSL, supporting and motivating her team until the completion of the match.